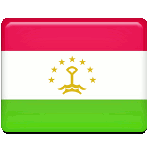 Constitution Day is a public holiday in Tajikistan. This holiday celebrates the anniversary of adoption of the Constitution of Tajikistan on November 6, 1994. The territory of present-day Tajikistan became a part of the Russian Empire during the late 19th century and consequently became a country within the Soviet Union. After the collapse of the Soviet Union Tajikistan declared its independence and its government started drafting a new constitution. It was adopted on November 6, 1994. The anniversary of its adoption was declared to be a public holiday. The current Constitution of Tajikistan was amended two times by refereneda in 1999 and 2003. The amendments established a new bicameral parliament in Tajikistan and extended the president's term in office to seven years. Celebration of Constitution Day begins with raising the national flag. The government organizes festive events, that the Tajiks enjoy. This is a non-working holiday, that is why everyone participates in celebration.